Ready to hit the water in record time? 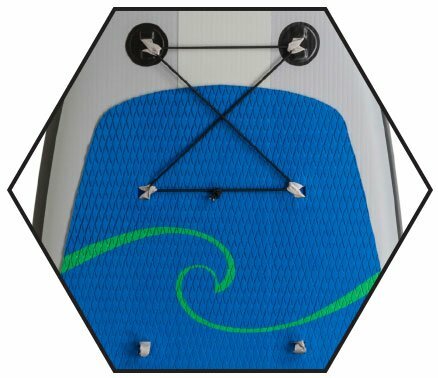 Check out the Rival Straight Up Inflatable SUP Board from Hala! 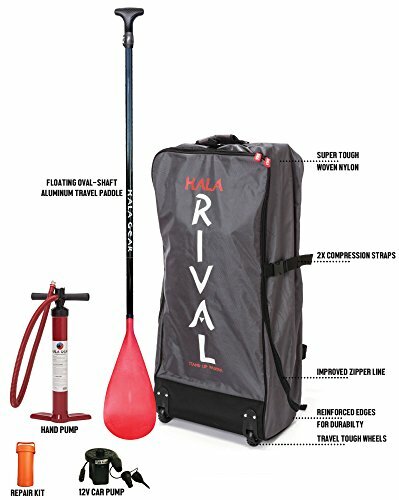 Hala’s Rival straight-to-water packages are simply the best bang for your buck, with an included 3-piece adjustable aluminum paddle and a Travel-tough rolling back pack to get you to your destination. 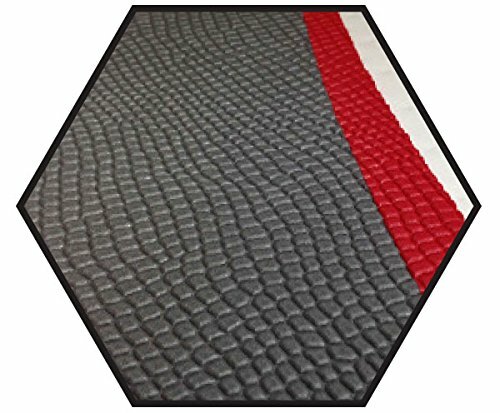 Built tough and light with Hala’s Fusion Bi-Layer Drop Stitch, the Rival Straight Up is perfect for those looking for a smaller all-around board that is equally playful and stable. Perfect for anyone who is looking for a board to do it all, the Rival Straight Up will take you just about anywhere, from lazy floats on local waterways to trying your hand at whitewater. The included Rival Aluminum paddle is anything but basic, featuring an ovalized shaft and efficient v-blade, adjusts for paddlers from 5′ to 6’4″. Don’t waste a minute of your weekend, get the Hala Rival Straight Up SUP Board and get on the water!